With a history only fitting an Internet business, Digg has seen the highest of the highs and the lowest of the lows, and everywhere in between. We’ve received a tips from multiple sources that Digg may have found a suitor by way of The Washington Post. The social bookmarking site launched in 2004, the brainchild of Kevin Rose, who now works at Google. Digg, which many see as the site that spearheaded the “Web 2.0” era has been a target by companies like Google in the past, but nothing has never come of those negotiations, with Google walking away in 2008. 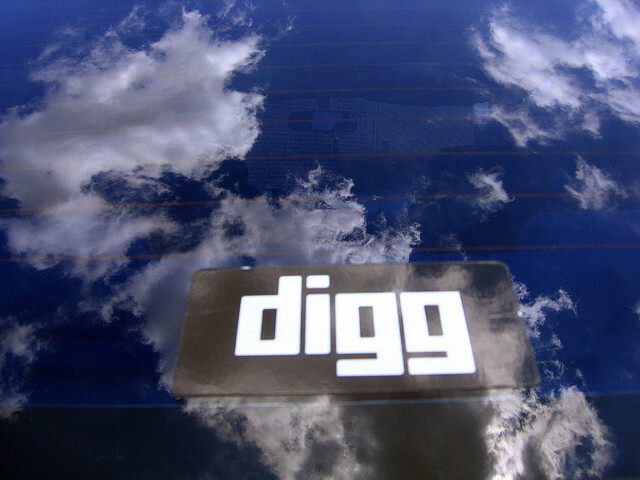 If these rumors are true, it seems like Digg may have finally found its exit. It’s not known at this time what the final asking price will be, but Digg has raised 45M to date. Digg’s current CEO Matt Williams took the reigns from Kevin Rose after Jay Adelson walked away from his post in 2010, but stayed on as an advisor. During its heyday, Digg was known for pushing massive amounts of traffic that were dugg, or voted up, by the site’s community of users. Once a link was pushed to the homepage of the site, a massive windfall of new visitors were to be expected. This became so potent that many people tried to game Digg by creating groups of voters, and even trying to pay off its top users in return for a digg. Lately, Digg hasn’t had quite the effect that it once had, even though it reported surging mobile traffic thanks to integration with Facebook’s Open Graph and Timeline. This would be an interesting piece of the puzzle for The Washington Post, which recently hired slashdot’s founder Rob Malda to head up the WaPo Labs division. Perhaps teaming the site up with its own publication could breathe new life into the community. The Washington Post has been making a big push towards strengthening its social prowess, seeing big results with its Facebook social reader app. We don’t comment on rumor or speculation. UPDATE 2: According to TechCrunch, The Washington Post is acquiring Digg staff only and not the site or its assets, and those may be still up for sale. This seems pretty odd, since that would mean that Digg would be, in effect, shut down. Peter Kafka of AllThingsD follows up with a report saying WaPo bought Digg’s technology team but not the business, and that current Digg management will need to figure out what to do with the site and other assets now. Good luck with that. Read next: Viddy investor: "it's growing so fast, I have to keep refreshing to get myself up to date"